At some point the science of flight became a reality. At the time, it seemed like such a futuristic shift, however, that imaginations continued to soar forward into the future, thinking about what was to come. 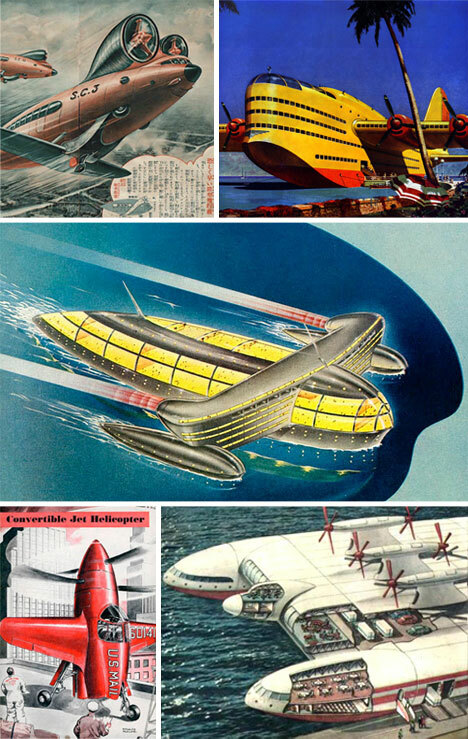 With this vision of future flight came some wild concepts for gigantic blimps, personal aircraft, and everything in between. The current shape of aircraft are based on scientific principles that generate enough thrust to create lift, while still serving as an efficient means to transport cargo. This doesn’t mean this is the only way to get in the air. Tohoku University researchers are reaching into the past – they think biplanes may be the best shape for supersonic flight. Synergy aircraft are an attempt to make flight achievable by all; including families. A radical lightweight design may just be the ticket to making this a reality. Lockheed’s Cormorant is a plane concept in which the craft spends much of its time underwater, bringing stealth to a new dimension. 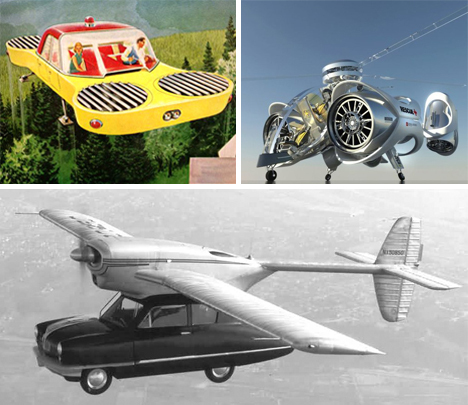 The final image is a great example of our currents visions of the future of aircraft, which very well may look as ridiculous and outlandish as some retro futuristic examples look to us now. This experimental craft is showing its years, from when it was designed to push the limits of technology. Captain Rickenbacker’s airplane of the future was designed in 1929 and clearly never left paper, which is probably for the best. With propellers being the end all and be all of aviation, it made sense to just keep adding more. 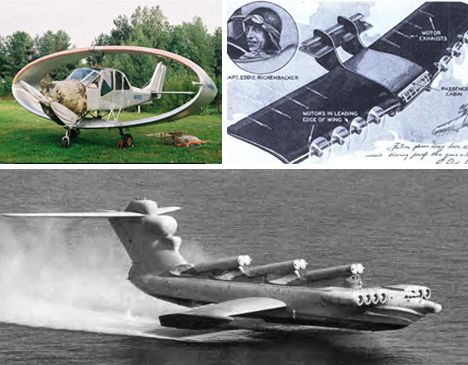 The Ekranoplan is a seaplane designed to lift off close to the surface of the water. It has a radical design and was actually used in the Russian navy for some years before being discontinued. 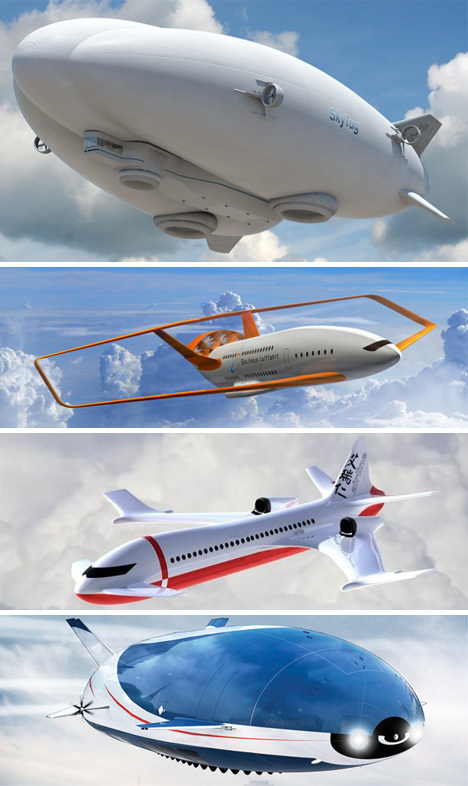 The future of aviation takes many forms. Take the Sky Tug for example, a futuristic blimp model that was designed for the Navy and will be entering active service, mainly for use in carrying cargo across difficult terrain, on behalf of commercial interests. 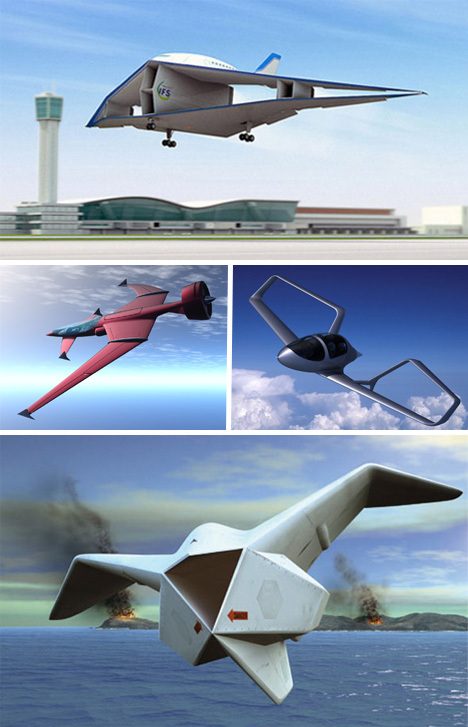 The name of the crazy looking plane is Claire, and its design is an effort to create a sustainable aircraft for future air travel. Another current concept was commissioned by NASA and also hopes to accurately reflect the shape of new planes. This blue airship is able to use the helium in its stores to land and lift off effortlessly, at least, that’s the idea. Whether this plan comes to fruition is anyone’s guess. 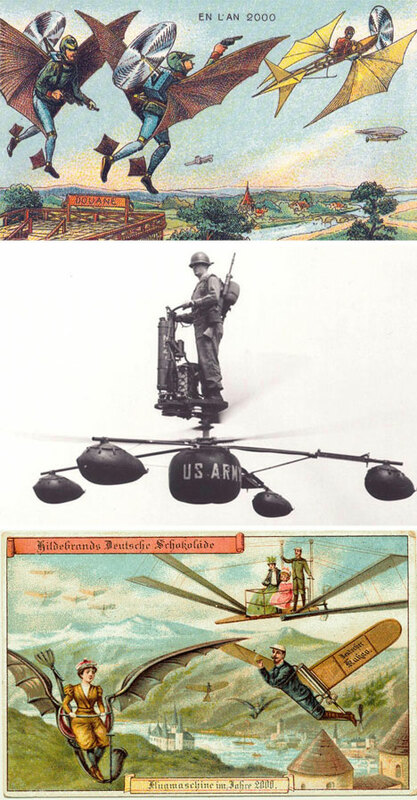 Even after seeing visions of the future of flight that are crazy by today’s standards, it’s still easy to laugh at attempts of futurism in the past. Judging by old magazines, we should all be in flying cars by now. Designer Leong Huang Zi came up with this design for the Aerial Rescue Chopper that actually looks like something that could work (though it would be mighty expensive). 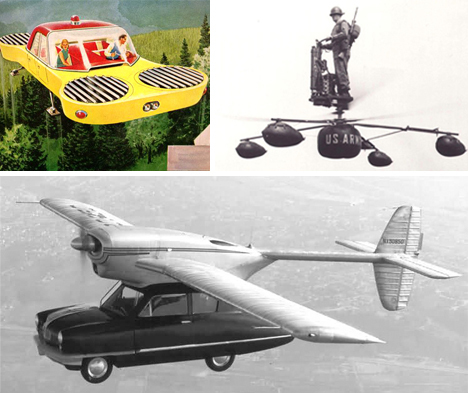 Lastly, a vision from the past of an actually working flying car called the ConvAir Car, that was meant to bring the power of flight home. Unfortunately, the idea never got off the ground. Personal transport for the military and police officers have always been of interest to forward-thinkers, but it’s as yet unattainable on an inexpensive and effective basis. 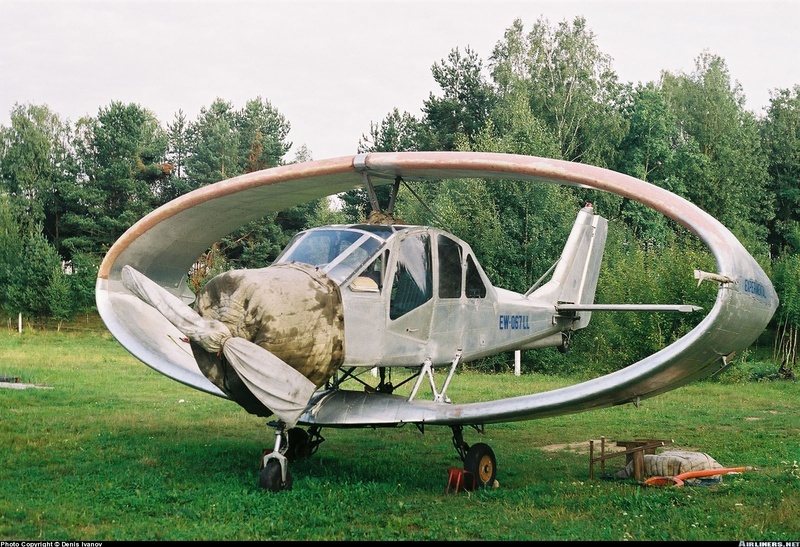 The De Lackner DH-4 “Aerocycle” was a prototype meant to revolutionize combat transportation, but it was deemed too impractical. Oddly enough, the final image depicts a vision of the future deemed quite practical (in the future).